Sapphires are always a good choice. Even though this gemstone is the birthstone for September, it is a beautiful stone that has been popular for generations. Rumor has it that the stone brings good luck and protects people from harm. 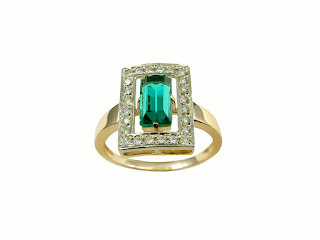 This classic gemstone regularly comes in a variety of colors, ranging from green to violet. The most popular color is blue, especially if the blue is in the medium range or has a touch of violet in it. The gem also comes in more exotic colors that cover the spectrum of the rainbow. Jewelers are beginning to carry sapphires in unexpected shades, so you should be able to find pink sapphires or green sapphires in local jewelry stores. 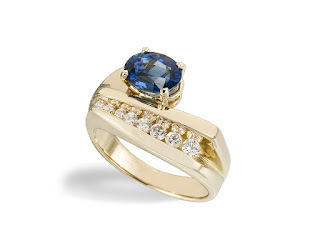 The sapphire is a popular choice for gifts because it is a gem that can be worn with any style. The bright blue stone looks lovely with diamonds and with white gold or platinum. The gem is radiant and catches the eye when the light strikes it. Blue is always in fashion and so are the different shades. Celebrities often wear sapphires and they can be a unique choice for an engagement ring. Sapphires are a hard gemstone, weighing in at 9, under the 10 that diamonds receive. They are durable enough to wear everyday without having to worry about dents and scratches. They can also handle chemicals and heat, so they are safe to wear in most work environments. Rubies have been a favorite gemstone for many years, too. The lovely red stone brings health, wisdom, and love. The gem is said to stir the senses and the imagination. Like the sapphire, a real ruby is durable. It is given a 9 rating, like the sapphire, so it can worn every day. Interestingly, a fine ruby is a rare gem to find. If you are able to find one, the best color is vivid red with a bit of purple in it. Rubies and sapphires are related, so if the gems is loaded with orange or seems to light to be a ruby, it is probably a colored sapphire. If you choose to give a ruby, you are giving the stone that represents love. The gem is said to protect people from enemies, which is enhanced by the love it represents. The ruby is the gemstone for July birthdays, as well as the gem for couples who are celebrating their 15th and 40th anniversaries. 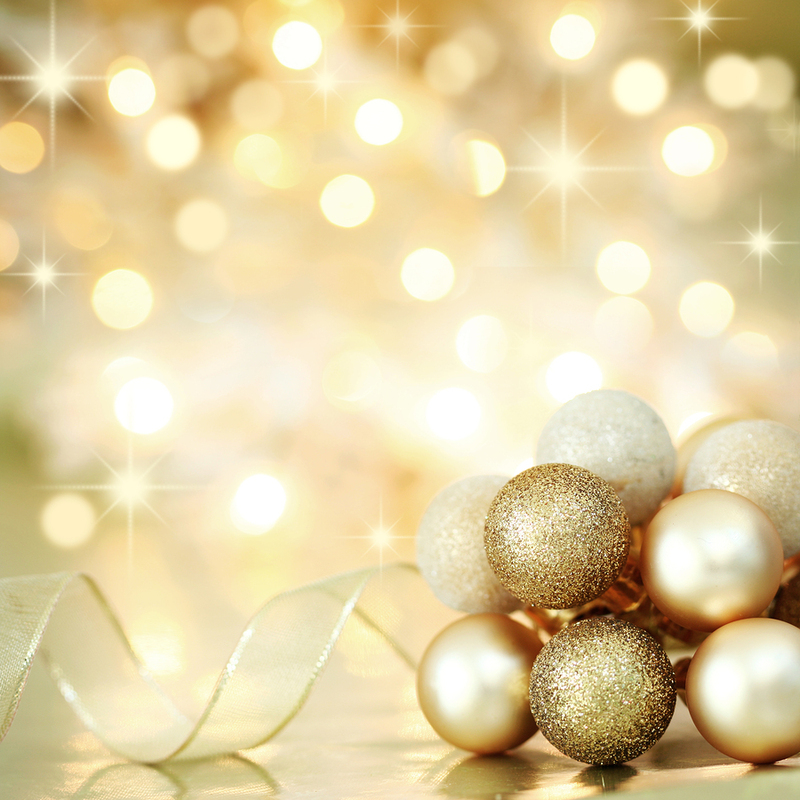 Pearls have been popular gifts for centuries, too. They date back to the Roman Empire and they were popular during the reign of King Henry the Eighth and his daughter Queen Elizabeth. They are not gems like sapphires and rubies because these actually come from creatures living in the sea. Also unlike rubies and sapphires, they require no polishing or fancy cuts. If you give a gift of pearls, the natural ones are prettier than the cultured pearls. This is the birthstone for June, but the gem is loved by people born in the other 11 months, too. If you have an extensive jewelry collection, especially one with fine gems and precious metals, you should insure your collection. The peace of mind is worth the money it costs. Jewelry can be insured in a few ways. One of the most common ways to insure jewelry is to add a rider to your homeowner’s or renters policy. Some insurance agents call riders extensions. The basic homeowner policy will insure things in your home, but the value has a limit. In some cases, the expensive pieces like engagement rings and heirloom jewelry will not be covered. This is why smart jewelry owners will add a rider to their policy, and even on specific items. The other way to insure your jewelry is buy jewelry insurance. You might not be able to do this through your homeowner’s agent. This type of insurance is not as common as placing riders on homeowner’s policies, but it usually covers more value than the typical rider does. Everyone who owns an engagement ring should have insurance for it. The insurance represents the financial and emotional value that the ring represents. If the ring is lost or stolen, it can be replaced without having to worry about buying a brand new one without any financial assistance. 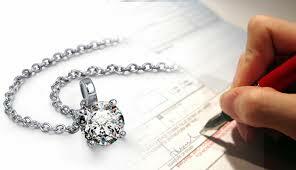 Insuring jewelry takes a few simple steps. The first is to show receipts and have valuable pieces appraised. You usually have to pay a small fee for an appraisal, but those can be done at jewelers that have certified gemologists. Once you have established the value of the ring, you should be sure that the rider or the policy comes with you if you move. If you insure an engagement ring before the wedding, the policy should follow the bride to the shared home after the wedding. Some jewelry stores offer insurance on jewelry purchased from their shops. They usually will cover expensive individual pieces like engagement rings or fine watches. Depending on the store, you might have to ask about a policy. Before you commit to it, it is a wise idea to ask questions about filing claims and how much coverage is available. You want to have the full value of the piece of jewelry covered so you can get something equal to the piece that was insured. 1. Is the ring covered just for theft? 2. If a claim is filed, how is the ring replaced? 3. How will a vintage piece be replaced? 4. What value is covered for the jewelry? Full price or a fraction of it? 5. What proof does the company need if the jewelry is gone? 6. What is not covered? The cost of covering jewelry is based on the replacement value. In most cases, the price will be one or two percent of the value of the jewelry. For example, if your engagement ring was $5000, then you will have to pay between $50 and $100 to insure it on an annual basis. You could lower the price of your insurance by adding a personal safe to your home. Now that the holiday season is beginning, it is important to consider what you will be packing on your journeys. At Chasing Treasure, we offer several different types of travel cases for jewelry. If you travel regularly, it is a good idea to add a travel case to your collection of luggage. It is also a good idea to know what to bring along and what to keep at home. 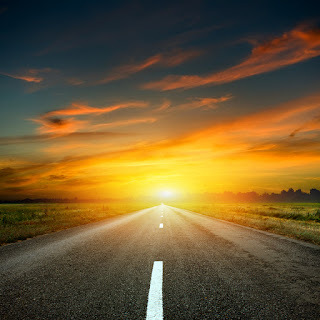 The most important thing to consider is where you are going and what you will need to bring along. You should remember that vacations are times to relax and not worry, so you should keep every piece of jewelry that you would worry about at home. If the piece is valuable or special to you, it is a good idea to leave it at home, in a locked jewelry box (like the ones we offer at Chasing Treasure). If you know you will be dressing up or enjoying casual evenings out, you can always bring a few pieces from your collection. Small earrings are easy to pack and so are chain-link bracelets. If you are worried about your necklaces getting tangled, you can leave them at home, too. You can also bring some pieces that make statements, but are not expensive. If you are unable to pack certain pieces because they are too big or too easy to tangle, you can always wear them on the plane. Some travelers prefer to keep their wedding band and engagement ring at home. If you have a large diamond or an expensive band, it can be wise to wear something less flashy, especially if you are going somewhere that your jewelry could draw negative attention. If you are expecting to have outdoor adventures on your journey, it is a good idea to leave the expensive pieces at home. Some travelers will wear a basic wedding band instead of their prize pieces. Some will also buy rings that resemble their real pieces, but they will buy them out of fake gems like crystal so they do not need to worry if they get lost. If you have to take your jewelry with you, it is a good idea to look at your homeowners insurance to be sure your pieces are covered when you travel. Anytime that you fly and take jewelry with you, you should only carry the jewelry with you at all times. If you check it with your bags, there is a chance it could get lost. In your carry on luggage, it cannot get lost. When you use a travel case, you can easily put pieces in the specialized compartments. If you bring long necklaces, it is a good idea to use a necklace roll to keep them from tangling. To keep the jewelry case from opening up during travel, buy one that locks. Keep the key in a safe spot so you do not lose it. If you have any questions about traveling with jewelry, feel free to contact us at Chasing Treasure via email at cs@chasingtreasure.com or on the phone at 888-804-2542. Moving is a fact of life and when you have a large collection of jewelry, it can be extremely stressful. After you have all of your jewelry organized in your jewelry boxes from Chasing Treasure, it can be challenging to pack it up and move it. Here are some tricks for moving large collections without having troubles with tangles, breaks, and loss. If you love your jewelry collection as much as we love our collections of jewelry boxes, we understand your frustration with moving it. Instead of wrapped jewelry in rolls, plastic wrap, or plastic bags, there are several other ideas that work. You also cannot simply pack your jewelry in our armoire or boxes, because the truck ride will disrupt the pieces inside of them. Those large collections of jewelry need to be packed with care and this could take time. (But, it is worth every second). The best tools for packing jewelry include small jewelry boxes and organizers. The most frustrating part of moving is packing and unpacking necklaces and bracelets so they do not tangle. Plastic straws are the best way to keep them from tangling. Pull one necklace or bracelet through one straw, then wrap it with a paper towel. Tie off the ends of the paper towels with yarn or string to the necklaces do not slide out. Obviously, this only works for small chains, but these are the ones that are the most frustrating to untangle. Bracelets and necklaces that cannot be stored in straws need to be put in small jewelry boxes or other small pouches that you have around the house. Cuffs and other items that can easily be scratched can also be wrapped in paper towels and put in paper bags or plastic bags. Then they can be put in cosmetic pouches or other padded pieces. Earrings can also be challenging to move. Smaller earrings can be put in bead organizers, the small acrylic boxes with individual compartments. These will keep them from getting mixed up and shaken up during the actual move. Larger earrings can be put in compartmentalized boxes with bigger holes. More valuable earrings should be packed individually, but everyday pieces could be placed with a few sets to conserve space. To keep the boxes from bouncing around in the moving truck, you can pack them with blankets or soft items of clothes, like sweatshirts. Your best pieces should be placed in small travel jewelry cases. These should not be packed in a truck, but should travel with you in your car. With the baseball playoffs in full swing, it’s time to discuss how to properly store and care for championship rings. Whether you won your championship rings in high school, college, club teams, or in a professional league or you simply like to buy them as a collectible, it is important to keep those rings clean and protected. Our men’s valet boxes will keep your ring collection free of dust and protected from scratches. Many of these boxes have special places for timepieces and others have spaces for other pieces of jewelry. The watch spaces are not appropriate spots for rings; so unless you have a collection of watches and rings, your money would be better spent on a traditional valet. 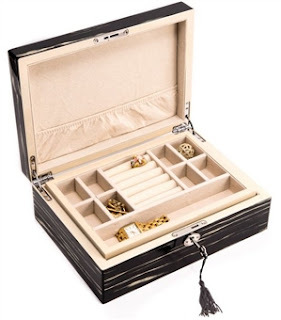 Our Locking Wooden Jewelry Box with Valet Tray is a perfect choice for storage due to the number of ring rolls in the removable tray. Our Locking Wooden Jewelry Box 3 Level also has several ring rolls, too. Once you have the perfect storage system for your rings, it is vital to take great care of them. Most collectors and champions do not wear their rings on a daily basis. They are cumbersome on fingers, which means they are frequently bumped into tables, desks, and other heavy objects. Since most of the rings are made of 14K gold, they are easy to dent because that type of gold is quite soft. Championship rings are like class rings, the more they are worn, the more the engraved details wear down. When you need to clean a championship ring, it is is best to use steam cleaning. Buffers, polishers, and ultrasonic cleaners will destroy these rings over time. Buffers will actually remove a tiny layer of gold and so will polishers. Ultrasonic cleaners will remove the dark antique finish that many rings have to show off details below the engraved surface. Steam cleaning will remove grease and sticky substances like hair products from the ring without damaging it. The diamonds and other gems set in the ring will sparkle after a good steam cleaning. If the ring does need scratches buffed out of it, this should only be done softly and by-hand with a professional jeweler with experience. If you do decide to collect rings, or if you just have one, it is a good idea to find a jeweler that you can trust with your prized possessions. Some rings come with warranties, so it is a good idea to keep track of any paperwork that might come with your jewelry. If you need to take any medications, your body chemistry could react to the metals, which could alter the way the metal looks. A pharmacist, physician, or jeweler could inform you of the medicines that can do this. It is also important to do your hair and makeup before you put your special rings on your fingers, because the products and chemicals could harm the pieces, too. The first thing you need is appropriate light. This may or may not be direct sunlight. In some instances, the best lighting conditions include diffused light. In many cases, cloudy days are better for photographing jewelry than sunny days. You will need to experiment with conditions for the different pieces you want to capture. In direct sunlight, jewelry looks fantastic to the naked eye. The facets sparkle and the gold glimmers, but cameras do not often capture what the human eye does. Often, that direct light or flash will reflect off of the jewelry and cause it to washout or disappear from the frame. One of the most helpful things to do is buy a special light box that is created especially for photographing jewelry. It is also helpful to play with focus. Because many phone cameras are better designed to capture human faces, they have difficulty capturing things without faces. Therefore, if your phone gives you the option of picking what you want it focus on, be sure to use that feature. This will prevent your phone from focusing on the background instead of the jewels. Phone cameras are not very good at zooming in on objects that are too close, so you should hold the phone farther away from the jewels than you think. Then, you can crop it to the desired look. It is also helpful to take a bunch of pictures so you can pick the one that turns out the best. Capturing amazing photographs requires a still hand. For just a few dollars, you can buy a small adjustable tripod for your phone. These are easy to set on a stack of books, so you can get enough height to capture your jewelry from above. You should also be able to find phone cases that come with hideaway stands. These will keep your phone still so you can worry about lighting and focus rather than motion blur. If you have ever wondered how photographers are able to use their phones to capture tiny, detailed objects, the answer is a tiny, phone-camera zoom lens. These little lenses, called macro lenses attach to your phone directly over the lens. Some attach with clips and other attach with magnets. They are inexpensive and provide just enough magnification to showcase the details in jewelry with tiny stones or engravings. Once you have all of the accessories, you simply need to shoot photos over and over. The best parts of using a phone to take pictures are that you no longer have to worry about buying film and you do not have to worry about the battery life like you do a digital SLR camera. The more pictures you take, the more you have to select from. Young ladies in their “tween” years can be difficult to buy gifts for: they’re not children so dolls and other toys aren’t generally treasured, and they’re not teenagers so makeup and clothing doesn’t quite fit the bill either. As they get older, they want more independence and to be treated more like young adults. Because of this, we think a beautiful jewelry box will show that “she’s growing up”! The traditional jewelry box for a young girl is the wind up ballerina box. The one shown below is typical in its design: white, pink lining, and plays / twirls when the lid is opened. This lovely girls jewelry box offers storage for the special things that girls love to collect. It accommodates rings, bracelets, and earrings. In this model, there is a pull out drawer as well to lay necklaces flat. If you think that’s a little too young girl, we can recommend something a little more “young women” rather than “older girl”. Ballerina Jewelry Box for the "Tween"
A womens jewelry box is something that she can get as a ‘tween and appreciate as a young adult gift. The value of going with something less adolescent and more elegant is that she’ll keep it for the rest of her life, and will grow into the storage as she gets older and acquires more jewelry. A locking womens jewelry box is also an option, but be sure she keeps the key secure! Finally, personalizing the jewelry box with her initials, monogram, or a message based on the occasion will guarantee that she’ll always have and remember it! Click here to check out all of our girls jewelry boxes, as well as shop for womens jewelry boxes. Whatever choice you make, she’ll love this unique and useful gift! Every wonder what July’s birthstone is? Well wonder no more: it’s the ruby! How did the ruby become July’s birthstone? Well, like all birthstones they were derived from Aaron’s Breastplate and coincide with the 12 signs of the Zodiac. Why Ruby’s were selected for July is unknown (let us know if you know why! ), but Ruby’s are said to provide health, wisdom, wealth, and success in love, and this may be why the ruby was selected as July’s birthstone: the vibrant nature of the summer season. We are know that diamonds are judged by the 4 Cs: color, carat, clarity, and cut, and ruby’s are judged the same way, with Color being the most important aspect of a ruby’s value. The most valuable rubies are blood red or “pigeon blood” red. (Are pigeon’s blood redder than other animals? That’s a blog for another day!) Next in terms of value are the carat (weight) and then the cut, with clarity rounding out the fourth “c”. Rubies are almost as hard as diamonds: they rank 9 on the Mohs hardness scale, with diamonds ranking 10. Rubies are made of aluminum oxide with chromium replacing a small fraction of the aluminum ions. The arrangement oxygen around the chromium is what makes those molecules absorb the yellow-green color spectrum and re-emit it as red….pretty neat! Color imperfections, known as rutile needles, are found in every ruby, and this is what gemologists use to distinguish a real ruby from a synthetic one. Rubies are generally heated before cutting, and almost all ruby jewelry pieces are heated, which slightly alters these needles. Ruby’s that have excellent quality without ever having been heated are considered the highest quality. Rubies are found in many counties, including the United States, but are mainly mined in Tanzania, Burma, India, and almost all countries in southeast Asia. A final interesting fact about rubies: the most expensive is called the Sunrise Ruby, which recently (May 2015) sold at auction for $30 million dollars. So if you’re thinking about a gift for that July birthday, or just want to add to your collection, consider the beautiful ruby! And to keep your ruby, and all of your jewelry, safe and secure, don’t forget the jewelry box! Women’s jewelry boxes range from luxury jewelry boxes for the dresser top to large jewelry armoires for any size jewelry collection!